Billy's Boot Camp: Wii de Enjoy Diet! Billy's Boot Camp: Wii de Enjoy Diet! (ビリーズブートキャンプ Wiiでエンジョイダイエット!) 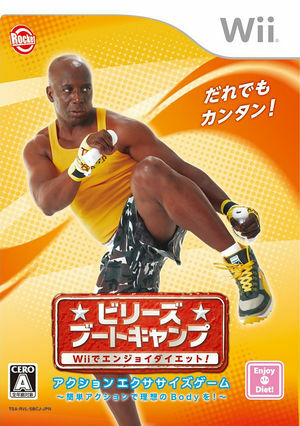 is a sports / fitness game which was released only in Japan in 2011. Due to region locking System Language must be set to Japanese for this title to boot. The graph below charts the compatibility with Billy's Boot Camp: Wii de Enjoy Diet! since Dolphin's 2.0 release, listing revisions only where a compatibility change occurred. This page was last edited on 16 January 2018, at 23:13.